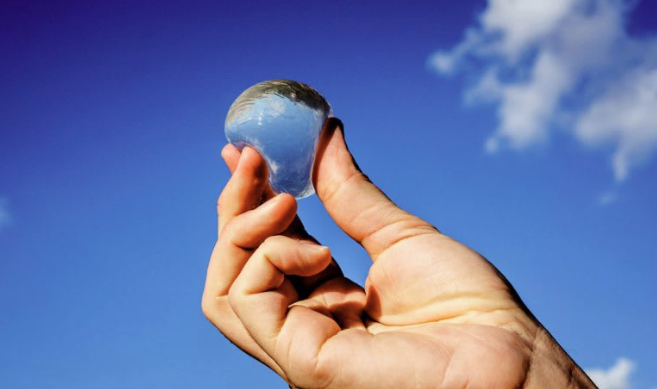 EDIBLE WATER BOTTLE: it could help provide a solution to today's plastic waste problem. UK company Skipping Rocks Lab has come up with small transparent spheres that are filled with water. It is called ‘Ooho’. These are edible and could help provide a solution to today’s plastic waste problem.